The Left may have shifted their main focus from class to race, but they haven’t forgotten about their original mission of taming capitalism. Sen. Elizabeth Warren, D-Mass., certainly hasn’t. On August 15, Senator Warren introduced a bill, the Accountable Capitalism Act, to rein in companies that are “making the rich even richer.” Among its features, the measure would make corporations with annual revenues of at least $1 billion to obtain a federal charter and mandate that at least 40 percent of their board members be chosen by employees. 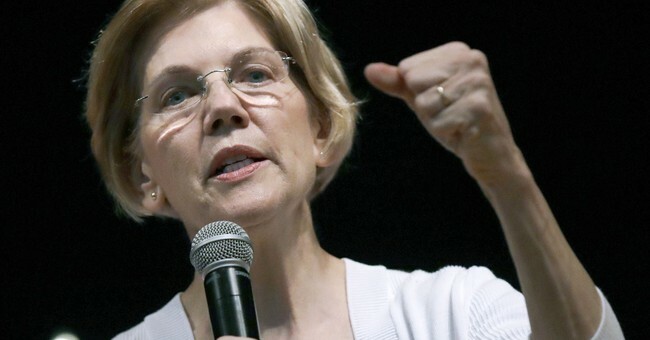 Warren assures skeptics that she believes in markets. Yet even if such a profession is genuine, her proposal is a recipe for undermining them. In a guest article for the Wall Street Journal timed for the introduction of the Accountable Capitalism Act, Senator Warren explained her view. “Building on work by conservative economist Milton Friedman, a new theory emerged [in the 20th century] that corporate directors had only one obligation: to maximize shareholder returns,” she wrote. “The obsession with maximizing shareholder returns effectively means that America’s biggest companies have dedicated themselves to making the rich even richer.” Between 2007 and 2016, she stated, large American companies dedicated 93 percent of their earnings to shareholders, causing wages and salaries to stagnate across the board. “For the past 30 years we have put the American stamp of approval on giant corporations, even as they have ignored the interests of all but a tiny slice of Americans,” she concluded. “We should insist on a new deal.” What lays ahead looks more like a raw deal. The Accountable Capitalism Act, at bottom, is a program for wealth redistribution. Sen. Warren believes that too much money is going into the pockets of people who don’t need it. As evidence, she ruefully notes that 10 percent of U.S. households own 84 percent of the nation’s stock equity and, to make matters worse, that companies often buy back shares instead of reinvesting them. This misallocation of wealth, she argues, has diminished available funds for employee compensation. As a result, tens of millions of Americans live on the edge of bankruptcy or are already there. Force “very large” corporations – those with annual revenues of more than $1 billion – to obtain a charter from a new agency within the Commerce Department, the Office of United States Corporations. This charter would require board members to consider the interests of all company “stakeholders,” including communities in which the firm operates. Authorize employees of such corporations to elect at least 40 percent of all board members. Prevent directors and officers of very large corporations to sell shares within five years of receiving them or three years of a buyback. Prohibit corporations from engaging in political spending without the approval of at least 75 percent of directors and shareholders. Authorize the federal government to revoke the charter of any corporation engaging in repeated and egregious illegal conduct. Don’t believe the hype. These sorts of supporters, to say nothing of Senator Warren herself, are living in a fantasy world. The Accountable Capitalism Act will impose heavy costs on our economy, even if not obvious to the naked eye. Here are some considerations these errant knights of the populist Left are overlooking. By treating bigness as an offense, the measure would discourage capital formation. All corporations, even “giant” ones, begin tiny. By subjecting the largest ones to intrusive regulation, the proposed legislation would discourage the fastest-growing (i.e., successful) companies from becoming industry leaders. Innovation and productivity throughout their respective industries would be held back. Large corporations pay employees better. It is intuitive that successful companies want to keep their employees happy. And a good way to do that is paying them well. Larger companies are in a better position to do this. According to Robert D. Atkinson and Michael Lind in their new book, Big Is Beautiful: Debunking the Myth of Small Business (MIT Press), large firms pay employees 54 percent more than small firms paid their equivalent employees. Moreover, they offered 2.5 times more paid leave and health insurance benefits, and 3.9 times more retirement benefits. To corral major corporations in effect is to corral their employees, whether or not they are shareholders. The legislation would depress stock prices. Corporations offer equity shares to the public for a reason: It is an efficient, low-cost way of raising capital for growth. Discouraging this by definition would depress stock prices. Even Vox’s Matthew Iglesias admits prices could fall by as much as 25 percent, though he assures us that the decline would be offset by higher pay and more rights at work. Yes, equity has an unequal distribution. But that in itself does not cause poverty. Elizabeth Warren knows she has a tough sell. Even many congressional Democrats might balk. Thus, she’s been trying to deflect accusations that she is anti-business. “I believe in markets right down to my toes,” she said in an interview on MSNBC on July 19. “But I also believe markets have to have rules. Otherwise rich and powerful just keep sucking up all the value and everybody else ends up eating dirt.” This is a straw man. Nobody denies the need for marketplace rules or the fact that we already have them. Unfortunately, the rules proposed by Senator Warren amount to a half-baked venture in populist saber-rattling.